To narrow down your choices, the first thing to ask yourself is how much square footage do you need to cover on your property. A single-stage snow blower easily handles snow up to one foot. This might be good for those light dustings and early and late-season snowfalls. Being a resident of Minnesota, you might want to consider the two-stage snow blower that can push as much as three feet of snow at one time. For home or business owners with long driveways, a battery-operated or gas snow blower might be preferable. That is because you don’t have to worry about plugging the unit in or running an extension cord. Ice mixed with snow can be especially difficult to clear with a shovel, so look for a powerful snow blower if you tend to get a lot of freeze-over on your property. Keep in mind that city snow plowing crews tend to pile snow at the end of residential driveways when plowing the streets. You need a snow blower that you can use multiple times in one day if necessary. We recommend reading several consumer reviews about different brands with various features before making a final buying decision. 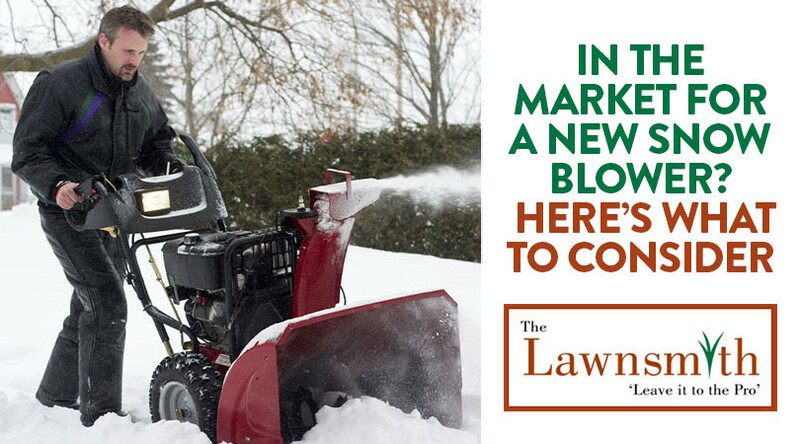 For less than the cost of a new snow blower and the work that comes with using it, you can hire The Lawnsmith to remove your snow this winter. Click here to learn about our packages and then call 952-937-5000 to reserve your spot with us.